I was over at NikStar’s Examiner page and noticed that there was yet another plus size fashion magazine coming out. It’s called PHAT Magazine and it will actually be available in print for $15 and online for free. For a moment I was actually taken aback by the price of the magazine, but then I thought about it. What is the reason most magazine’s are online. #1 is because it’s cheaper and #2 because the internet seems to be the way to go with plummeting magazine and newspaper sales. Well I don’t know about you guys, but I can’t say I don’t love the smell of a new Vogue Magazine, the weight of all it’s lustrous pages, and how chic I feel when carrying my new crisp Vogue around the airport. What I would like to see is a plus size magazines make it…IN PRINT. So I will support the magazine and shell out $15 in support and to hopefully support and continually printed magazine and hopefully a future cheaper price…LOL. I would also like to shout out for the record all the other plus magazines and future plus magazines really trying to put a stamp on the industry. I am a person all for preferences, so by all means if you do not like a particular magazine then you do have the choice of not reading it, but to the ones you do like…SUPPORT THEM. It is the only way they will keep thriving. Manik Mag - This mag gives its readers edge. The photo are funky and are of things that you can actually buy. 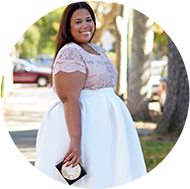 Although much of the items can be bought they are not in your everyday plus size store. Manik Mag seems to bring attention to the underground independent plus size market. Skorch Magazine - This online mag give shows it readers what is out there in term of plus size fashion. Many of it's featured plus size fashions are from easily accessible plus size clothing stores, which is excellent. I think a lot of fashionistas are ditching mainstream and going to the more independent place, but Skorch reminds you that mainstream retailers do have fabulous pieces too. Did I mention that the covers of Skorch are flawless. Gemini Magazine - This magazine seems to have great pull in getting the best names in plus-size on the cover. Her most recent cover models have been Monique and and the owner of Carol's Daughter. Gemini takes it to the next level with it's A-list cover models. Phat Magazine - From the little bit of information that is out there about this magazine the direction of the magazine looks great. PHAT mag seem to really be stepping up it's standards in the photo layouts and styling. Magazine to come in May. Venus Diva mag - This online magazine is packed full of all the news curvy. From the latest on curvy celebs to the wardrobing tips. This magazine is slam packed with great information. 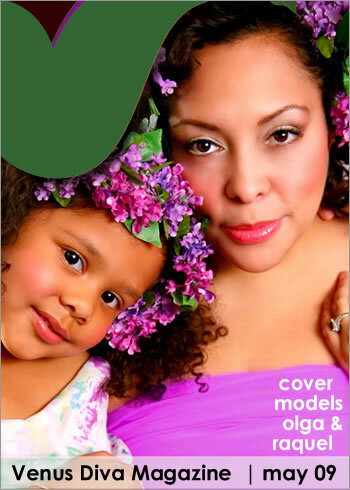 Plus Model Magazine - One of the very first plus size online magazines that I had every laid eyes on. I remember the cover of a model in green form fitting dress. I still want that dress to this day. This magazine can probably be considered the pioneer in plus magazines, beside Mode of course. This magazine has set the standard of clean crisp photos and editorials. One of my first modeling pics from a few years back got featured in this magazine. Bold Magazine: I remember meeting the Editor in Chief of the future magazine about a year ago. I literally thought she was the cutest person I had ever seen. She was way stylish and had done a little Do It Yourself project with a thrifted dress. I know this because I had to get the inside info. on probably the most hottest outfit in the party. She was literally one of the flyest girls at the gathering. I can wait to see what this young lady has in store for the the fashion world. Bold Magazine is scheduled to come out in May. Yeah I heard about PHAT. I think the price is so high because it won't be readily available in big stores like walmart and target. They are prob. starting off with subscriptions. I think it's great. Lane Bryant used to make a mag. that they only sold in stores but it got shut down a while back because of the economy. check out my post on friday for my mystery designer. Thanks for summery of plus size mags. I had heard of most, except Bold and didn't know the price of Phat! I am really looking forward to seeing a plus size mag in print! I will definitely get the 1st issue and check it out! i too love the weight and feel of a "real" magazine and i don't think that the price is high and will gladly pay it to support the effort. I wonder if Figure Magazine is still around. I have an issue of that which has Sheri Shepard on the cover. Thanks for the information regarding the various plus magazines. My first (an only, lol) pageant interview was with Venus Diva! @Miss & Jayla...yes I remember Figure Magazine. The thing I didnt like about Figure is that is only had clothes from the Charming Shoppes Brand (LB, Fashion Bug & Catherines) It got boring after a while. Hey Chastity, don't forget about Phatabulous Magazine. New magazine only in print right now out of Jacksonville, FL. Subscriptions are only $12.00 and you can email phatabulous09@yahoo.com for more information. @Mogulette...this just proves that I dont know everything...LOL...Thanks for sharing!